Al-Sahifa al-Sajjadiyya (Arabic: الصحیفه السجادیه‎‎, Arabic pronunciation: ['sæħifætu 'sædʒæ:'diæ]; "Scripture of Sajjad") (Persian: صحیفۀ امام سجاد ‎‎, Persian pronunciation: ['sæhife ye imɒ:m 'sædʒɒ:d]; "Scripture of Imam Sajjad") is a book of supplications attributed to Ali ibn Husayn Zayn al-Abidin, the great-grandson of the Islamic Prophet Muhammad. According to Shia legend, the book is said to have been composed after the Battle of Karbala (680 AD) and describes the relationship between man and God. Although the book is principally a collection of Islamic knowledge and thought in supplication form, it is said to have played an important part in the uprising against the Umayyads. According to some scholars , al-Sahifa al-Sajjadiyya is an example of the highest form of eloquence, and its contents have been described and explained in many books of commentary. The main part of the book is mutawatir (conveyed by successive narration), but over the years a number of scholars have written addenda to it. Al-Sahifa al-Sajjadiyya is an important book for Shia Muslims. Al-Sahifa al-Sajjadiyya is a collection of supplications and whispered prayers composed by Sajjad, the great-grandson of the Islamic Prophet Muhammad. The title "al-Sahifa al-Sajjadiyya" means "the book of Sajjad", Sajjad being the epithet of Ali ibn Husayn, the fourth Shia Imam. Al-Sahifa al-Sajjadiyya has several titles, such as "Sister of the Quran", "Gospel of the Holy Household" and "Psalms of the Muhammad dynasty", names which clearly indicate the importance of the book for Shia Islam. In the form of supplication, it expresses Islamic knowledge and thought and involves all aspects of individual, social, economical, political and cultural life. Reason, human feelings, emotions and conscience are all addressed by it. 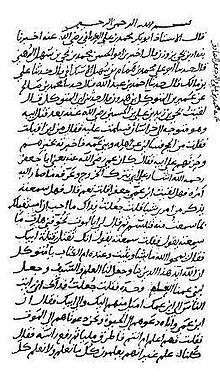 Shia legend states that Sajjad composed al-Sahifa al-Sajjadiyya after the Battle of Karbala (680 AD). According to some researchers , circumstances at the time of the Umayyad Caliphate did not allow Imam Sajjad to speak explicitly and unambiguously. Not only did the regime not permit it, but the public, too, were unwilling to listen to his words. Shia legends state Imam Sajjad therefore used rich and meaningful supplications to reconstruct society and distribute Islamic knowledge. It seems al-Sahifa al-Sajjadiyya -which was protected from government agents by Imam Sajjad’s sons and companions- was a sectarian and organisational booklet, which the access of the government agents to it make ineffective all Imam Sajjad's efforts. Many scholars see al-Sahifa al-Sajjadiyya as teaching theology in a personal and practical way, not in abstract language, and as indicating the relation between man and God in a way that can be universally understood. However, the book is not merely a conversation with God; in supplication form, it is also a collection of Islamic knowledge and thought. It emphasizes detachment from the material world, and addresses many moral and ethical issues. According to some scholars, al-Sahifa al-Sajjadiyya exhibits the highest level of eloquence and purity to be found in Arabic literature after the Quran and the Nahj al-Balagha of Ali, cousin and son-in-law of Muhammad. Al-Sahifa al-Sajjadiyya was at the forefront of the uprising against the Umayyads. 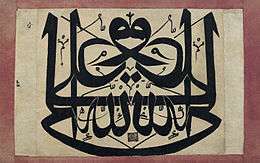 Salutations to Muhammad and his dynasty are repeated in most of its supplications, while the Umayyad Caliphate consistently tried to wipe out the name and memory of Muhammad and his family. In several supplications Imam Sajjad explains the concept of Imamate (leadership). He explains what Imamate means, who is allowed to be an imam (leader), and what the conditions of Imamate are, because the subject of prophet succession and the concept of Imamate were faced with serious challenge after the death of Muhammad and particularly after the Battle of Karbala. For the protection of Islamic territory, which had been won through the endeavours of Muhammad and his companions, Imam Sajjad in several supplications talks about important matters such as jihad and martyrdom, the protection of borders, enjoining good and forbidding wrong, combat power, the powerlessness of enemies, awareness, military equipment, and so on. In expressing the ideas, virtues, attributes and characteristics of God's fighters, officials and border guards, he explains the true Islamic idea. According to Shia tradition, Imam Sajjad collected his supplications and taught them to his family, particularly his sons, Muhammad al-Baqir and Zayd. These supplications were written down by others and the text over time became widely disseminated among all Shia. Specialists in the study of Hadith maintain that the text is mutawatir (conveyed by successive narration). In his book, al-Tharia, Sheikh Agha Bozorg Tehrani has enumerated about 50 descriptions of al-Sahifa al-Sajjadiyya, while others have enumerated about 80 descriptions. Philip Woolley, a professor and researcher from Germany, asked for a copy of al-Sahifa al-Sajjadiyya to be sent to him after his friend, a Roman Catholic Cardinal, saw the book in his library, studied part of it, and impressed with its novelty insisted on taking it away with him. When the Vatican Library in Rome received an English version of al-Sahifa al-Sajjadiyya, it said in its letter of acknowledgment: "This book contains great mystical themes, so we place it for researchers in the best position of the library." A leader of Germany's Social Democratic Party wrote to a friend, Professor Singler, saying: "This book had a profound impact on me and changed my view about Islam. I invite my friend to study this book", while in Poland, Christian Scientist Andre Kowski said of the book: "I am deeply impressed by the ideas of Imam Sajjad, whose noble thoughts are manifested on the pages of the book al-Sahifa al-Sajjadiyya. It is so attractive, to the extent that I feel this book has given me a complete sense of the mystical and divine." Wikimedia Commons has media related to Al-Sahifa al-Sajjadiyya. 1 2 3 4 introduction, translated with an; Chittick, annotation by William C. (2000). The perfect book of Imam Zaynul-A'abideen A'li Ibnul-Husayn as-Sajjad : as'-S'ah'eefatul-kaamilatus-sajjaadeeyah = aṣ- Ṣaḥīfa al-kāmila as-saǧǧādīya (1. ed.). Qum: Ansariyan Publ. ISBN 9780946079568. 1 2 Shahri, Muhammad Hussain (2006). "Human and social dimensions of al-Sahifa al-Sajjadiyya". Safina (in Persian) (9): 155–157. ↑ Khamenei, Sayid Ali; (compiler), Sahba center (2011). 250-year-old man (in Persian) (forth ed.). Mansoori. p. 193. ISBN 978-600-6275-22-2. 1 2 Ilhami niya, Ali Asghar (2006). "invocation strategy in al-Sahifa al-Sajjadiyya". Hosun (in Persian) (4): 98–114. 1 2 al-Rasheed, Bāqir Sharīf al-Qurashi ; translated by Jāsim (2007). The life of Imām Zayn al-ʻAbidīn (1st ed., 2nd repr. ed.). Qum: Ansariyan. pp. 380–390. ISBN 9789644381652. ↑ KarimiFard, GholamReza (1997). "Rhetorical points in the book al-Sahifa al-Sajjadiyya". Meshkat (in Persian) (53): 116–134. ↑ Mozaffari, Seddigheh; Ibn al-Rasul, MuhammadReza (2009). "Exquisite array in the book al-Sahifa al-Sajjadiyya". Persian Language and Literature Research (in Persian). 1 (9): 141–180. 1 2 Husaini Tehrani, Muhammad Husain. Imamology (in Persian). Mashhad Mughaddas: Allama Tabatabaie. pp. 40–79. ↑ Agha Bozorg Tehrani, Muhammad Muhsin. al-Tharia ila Tasanif al-Shia. 3. Qom: Ismailiyan. pp. 345–359. ↑ Hakim, Sayyed Muhammad Hussain (2002). "detailed bibliography of commentaries and translations of al-Sahifa al-Sajjadiyya". religion (in Persian) (53-54): 88–101. ↑ Short Review on the performance of 33 years of Foundation of Islamic C.P.W. Qom: Foundation of Islamic C.P.W. 2010. pp. 13–14. ISBN 964-91557-0-8. ↑ Short Review on the performance of 33 years of Foundation of Islamic C.P.W (in Persian). Qom: Foundation of Islamic C.P.W. 2010. pp. 45–46. ISBN 964-91557-0-8.